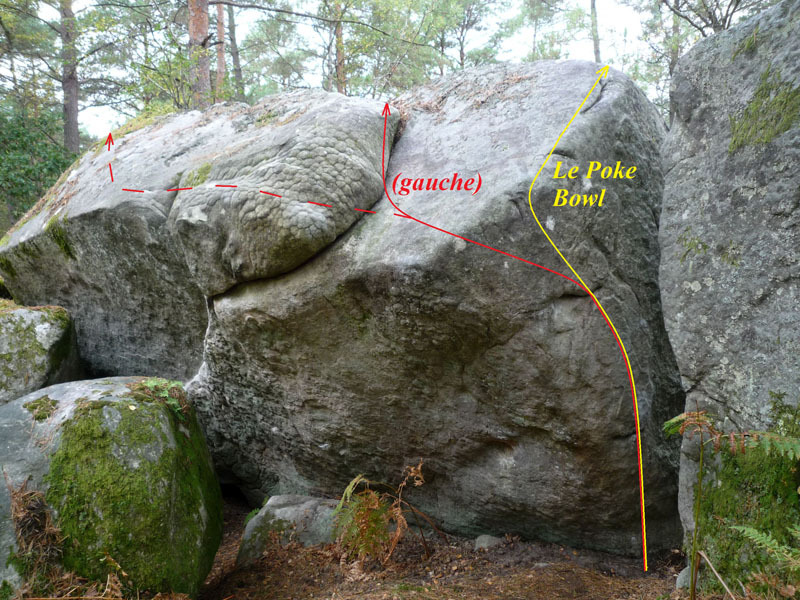 On the boulder of Epolov, 20m to the left of red n°19. Sitstart without crash-pad at the left arete, traverse to the left and exit with the crack right hand. NB : it is also possible to continue to traverse and exit as for Epolov (same grade ).